Gas prices have dropped 21 cents per gallon across the country in less than a month. Although it has been more than six months since gas prices were this low, Georgia’s prices are still 15 cents higher than this time last year. Georgia is also still of the most expensive states to fill up your tank in the South and Southeast. With the holidays around the corner, Shell store clerk Christa Richie said she does not think these prices will continue to drop. “I’m sure they’re probably going to go up because they know a lot of people are going to be travelling,” said Richie. 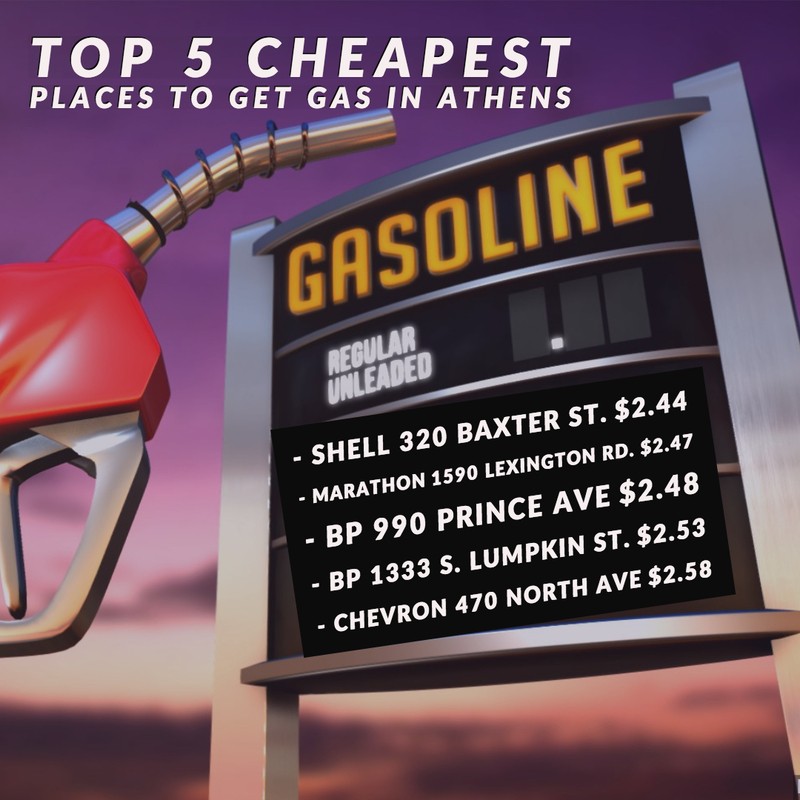 If you want to take advantage of these lower prices, here is a list of the cheapest places to get gas in Athens. Maddie Ray and Casey Rose are seniors majoring in journalism.